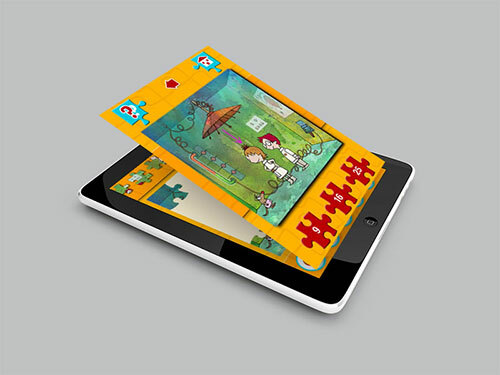 This Puzzle App is an iPad and iPhone jigsaw puzzle app created for our German client Terzio. They required us to create a puzzle app in English & German for both iPad and iPhone. WITS Interactive created an interesting app which has multiple features. For the iPad there were 3 options to select the number of pieces (25, 49, 81) to play the puzzle and for the iPhone there were (9, 16, 25) pieces to choose from. Another wonderful feature of this app is "puzzle my pic" wherein you can click your own pic and puzzle it and also share it with your friends. This app provides an option to even buy pictures and play the puzzle. After the puzzle was solved the pic could be saved and shared as well. We delivered an app that was not just interactive but also helped children keep their minds on the go and in shape.